Available on-line from Eduard for US$64.950, Hannants for £30.83 , Squadron for US$58.46 and Modelimex for €37.50. Despite quite a lot of interior PE detail, there is nothing extra for the gun turrets. A very good value package with the potential to build into a very good model. The B-24 Liberator really needs no introduction, although it’s perhaps fair to say that it is most often remembered for operations over Germany with the USAAF. As the most produced four-engine bomber of WW2 it in fact served in most theatres and many different roles. Its RAF service is often overlooked, especially in the China-Burma-India theatre against the Japanese. So it is nice to see Eduard redressing this imbalance with the kit reviewed here. The kit is supplied in a good quality top-opening box with attractive box-art. 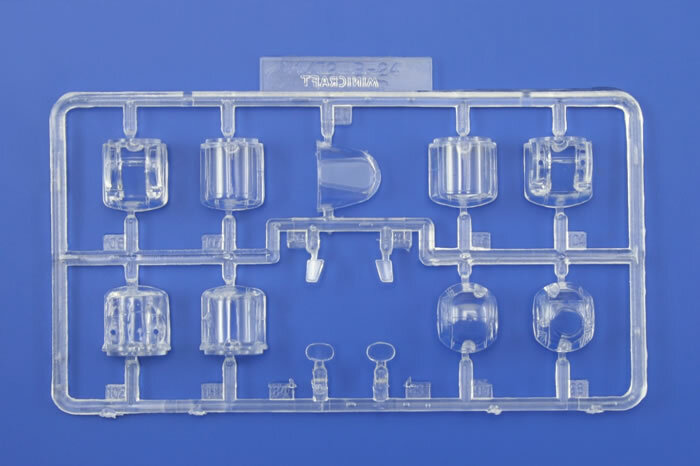 The contents include the styrene parts compactly sealed in cellophane, and also in separate cellophane packets are coloured and plain PE frets and a die-cut paint-mask. The instructions are nicely produced in booklet form on A-4 glossy paper in English and Czech. 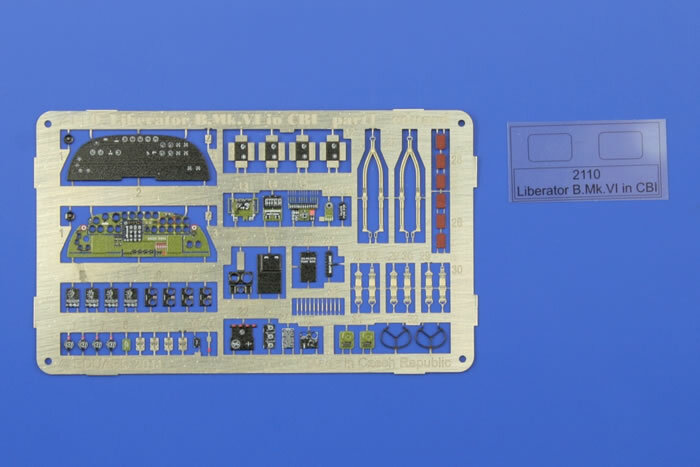 They have a parts map covering all media and clear diagrammatic assembly stages. An entire page is devoted to use of the paint masks. The painting and decaling guides are coloured and offer four-views. Paint names are generic with Gunze Aqueous and Mr Color codes. 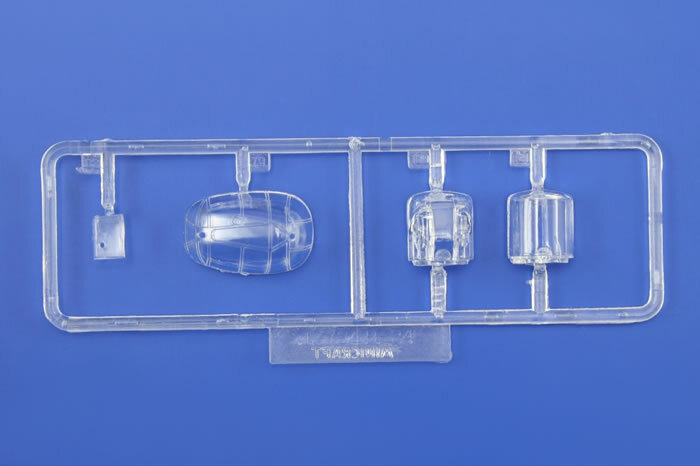 These also are used throughout the assembly instructions for detail painting colour call-outs. The basic kit is will be familiar to most, as it is Eduard’s re-boxing of the Academy/Minicraft offering which has been around for close to 20 years I think. 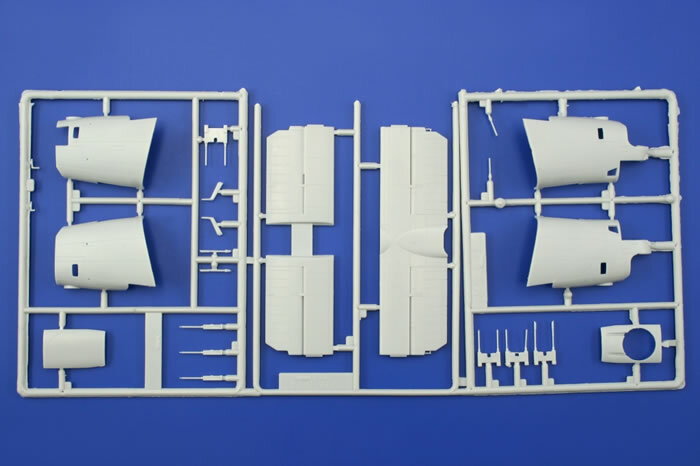 This said; the kit is still a good one, with the possible attraction of being a generally simpler build than the much more recent Hasegawa B-24 kits. Finished examples I have seen certainly capture the look of the Liberator. 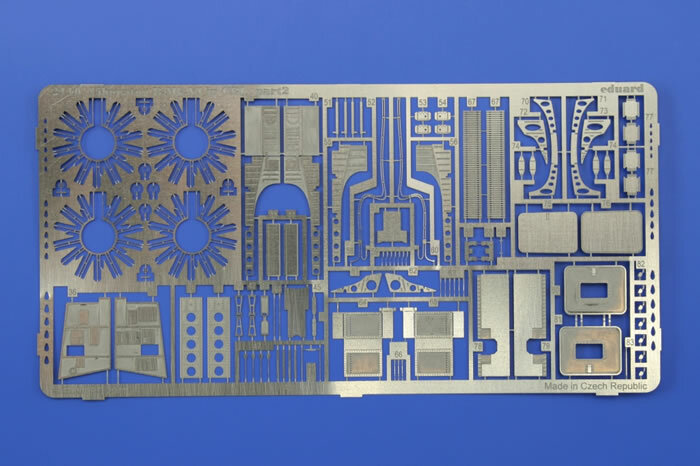 The Academy/Minicraft B-24 has been widely reviewed over the years, so I’ll let the images serve as a reminder to what is supplied, and focus now on the uniquely Eduard aspects of the kit. The stand-out addition from Eduard is of course the PE frets, both coloured and plain, although I would argue that perhaps the most useful addition is the paint mask. As you would expect, the pre-coloured PE fret addresses cockpit detail with mainly seatbelts, a very nice main instrument panel and equally nice but smaller ancillary panels. 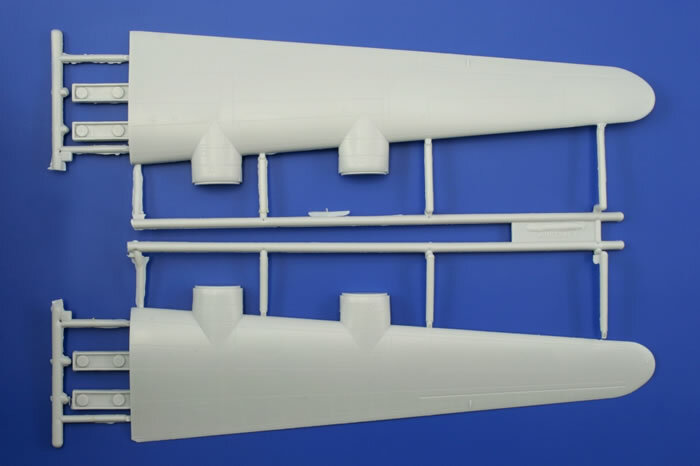 The plain PE fret also contributes to the crew areas with cockpit sidewalls, guns-sights, and quite a bit of detail for the waist-guns including ammo-boxes and feeds. 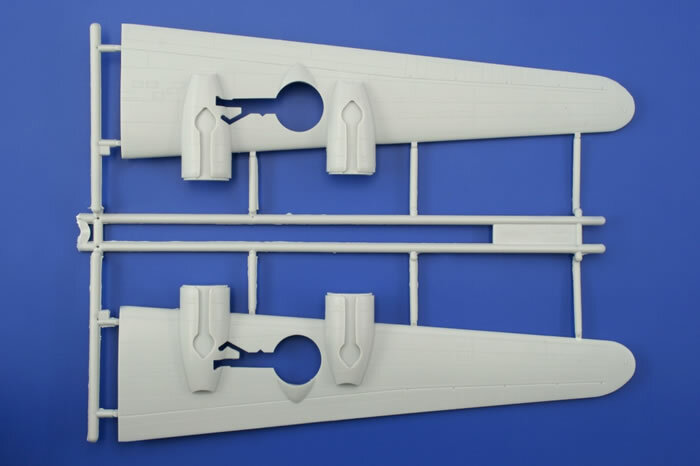 There are also replacement PE waist-gun hatches with clear film windows replace the kit items, plus slip-stream deflectors that can be modelled extended to compliment open waist-gun hatches. There is a PE replacement for the ventral hatch aft of the waist guns, but no additional turret detail. The engines get a quick dress up from some PE ignition harnesses that will need a thick paint coat to avoid looking too flat in section. The main undercarriage bays are enhanced with some nice PE detail to improve on the plain plastic walls of the wells. There are some PE brake lines which some might could be used as a pattern for fine lead wire replacements as they are a bit 2-dimensional, or they could be fattened up a little with Mr Surfacer and paint. The main gear doors are dressed up with fine links to the leg, and the main-leg retraction link gets some extra detail as well, including replacement torque links. The nose doors also get re-skinned on their inside faces with more detailed PE parts. The nose leg has its torque link replaced, and what look like tie-down eyes added. Decals for five similar aircraft are provided. There are two each for Nos 99 and 159 Squadrons, and one for No 356 Squadron; all dating from 1945. In each case the colour scheme is Olive Drab over Neutral Gray. Attractive nose-art as well as variations in fin markings offset the run of the mill paint scheme, plus the SEAC roundels also give a splash of colour and add to the appeal of the schemes offered. The decals look to be very good quality, are clearly printed and suggest good opacity. The base kit may be aging a bit, but it still has something to offer in terms of simplicity when compared to the later Hasegawa B-24 kits, although in this case this is offset by the fiddly nature of PE. However the good base kit with quality PE details, paint mask, as well of course as the RAF CBI markings, all makes for an attractive package overall. In fact it as a package deal that this kit must appeal - The PE sets and mask if bought separately would account for 90% of the entire package’s purchases price! 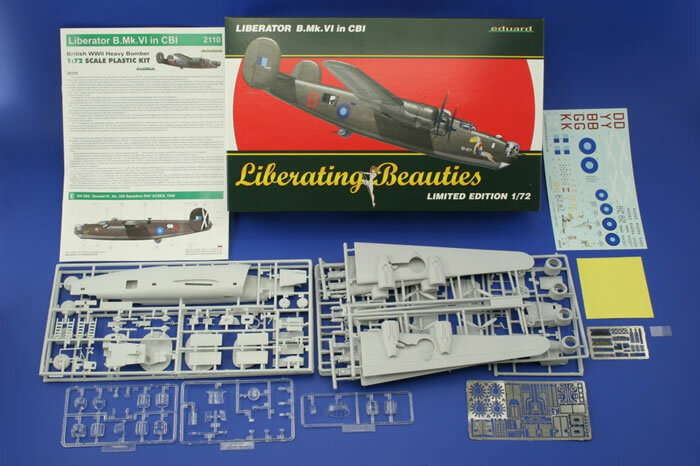 Put two other ways, the package is it’s about 36% more expensive than the straight Minicraft B-24 kit, or between around 25% and 40 % cheaper than an unembellished Hasegawa B-24 kit (depending on the boxing you use for comparison). 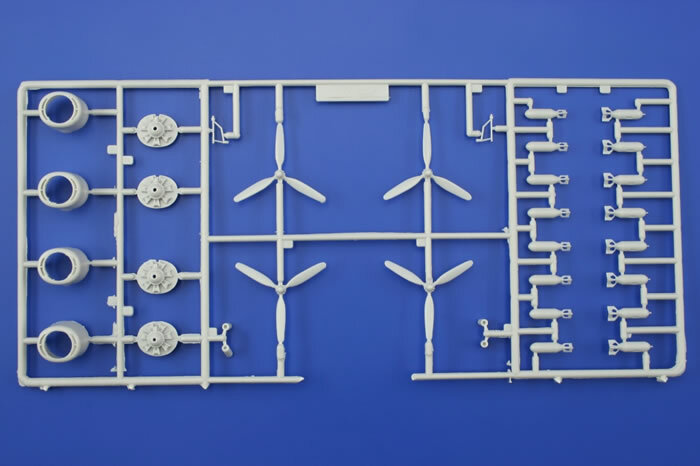 If some nice PE appeals to you, you like the convenience of die-cut canopy masks, and have a hankering for an RAF CBI Liberator; then this is the kit for you. And if the markings don’t appeal it’s still great value when compared to the alternatives both above and below its price-point.